Home / Social Justice Action Series: How Do You Activate? 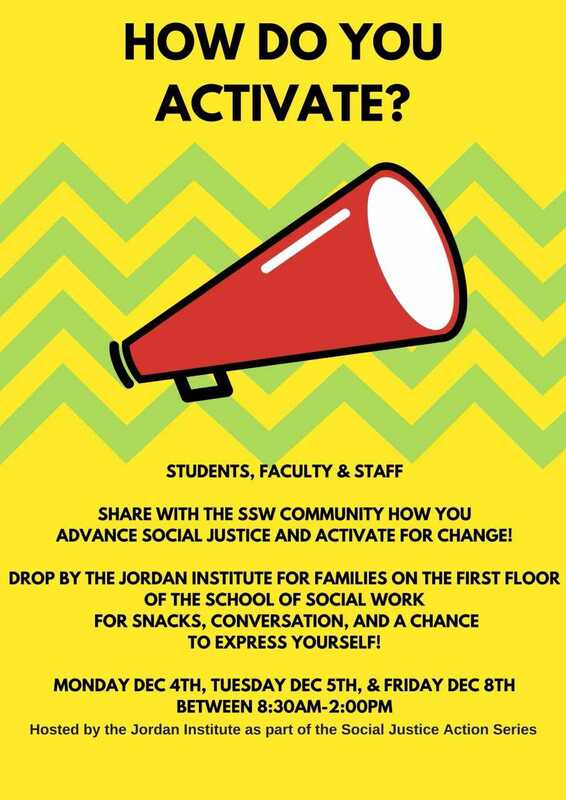 Social Justice Action Series: How Do You Activate? Drop by the Jordan Institute to share with the School of Social Work community how you advance social justice and activate for change! Share your research, your grassroots activism, and other strategies you’re using to pursue core social work values of social justice. Let us come together and to continue to push for change!